No Drama Discipline summary - Parenthood is an enriching experience like no other, but that doesn’t mean it can’t get tough sometimes. What’s in it for me? Learn how to become a more effective parent. 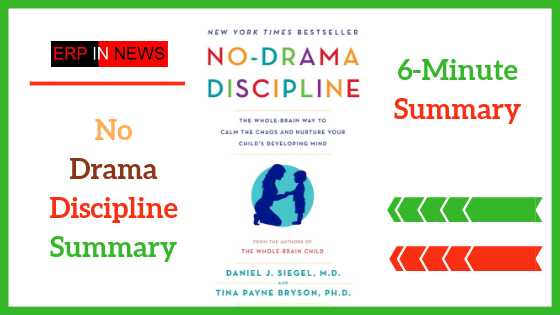 No Drama Discipline summary – Parenthood is an enriching experience like no other, but that doesn’t mean it can’t get tough sometimes. When it comes to raising children, it can be difficult to know to what extent you should let them express themselves freely and when you should intervene. Moreover, disciplining a child is not always an easy task and can often be emotionally draining. Arguments over small things – such as washing the dishes or turning off the TV – can quickly escalate, putting pressure on your relationship and well-being. It’s therefore essential to discipline your child in a positive manner. The authors explain how effective disciplining can only be achieved by first understanding how the brain works. By following their advice, your children will become more receptive to your parenting which, over time, will strengthen the bond between you. what to do when your child has a meltdown. Discipline should be a lesson to learn from rather than a form of punishment. Think back to the last time you disciplined your child for misbehaving. What did you do? Perhaps you lectured them, yelled at them or put them in time-out? But have you really thought about what you’re doing when disciplining a child? Conventional discipline uses a standard approach of punishment and fear instead of focusing on the development of the child. To explore this further, let’s take a look at time-outs: this method is used by even the most loving parents, who expect the child to utilize the time-out to reflect on their misbehavior. But that rarely happens. Instead, children usually spend the time reflecting on how to mean their parents are, which tends to escalate the situation. Another traditional form of discipline is spanking. When spanked, children become more fearful of their parent’s actions, rather than focusing on their own behavior – thus making this physical punishment counterproductive. Time-outs and spanking are applied to misbehaving children regardless of the situation, but inducing fear and resentment isn’t helpful to either the parents or the kids. What if……….